Think of your favorite food. How much of it can you eat? For me, I’d say I could eat a ton of it. In reality, a pound of anything is really a lot, let alone 2000 pounds of it. An admittedly “heavy” dish, it is worth the weight! Pork, vegetables and a few spices. Put down some noodles in your bowl. 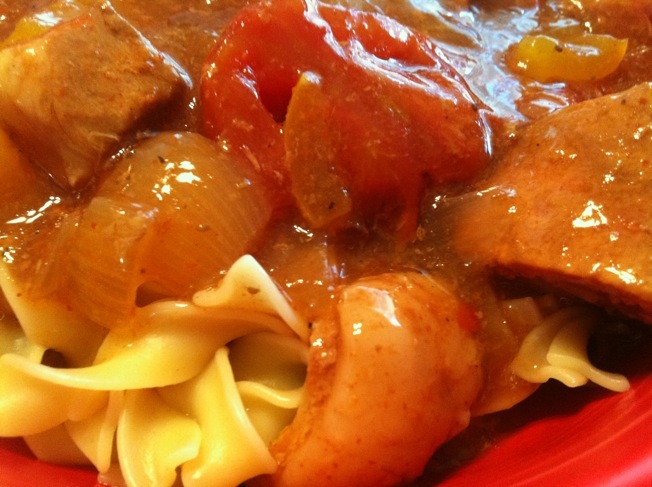 And top with this delicious stew. 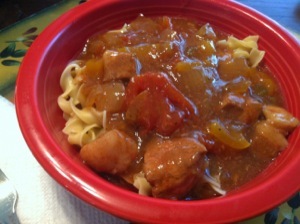 Prep Time: 10 min | Cook Time: 510 min | Servings: 8 servings. 1. In a 3-qt. 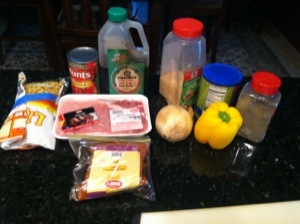 slow cooker, combine the first 10 ingredients. Cover and cook on low for 8-10 hours or until meat is tender. 2. 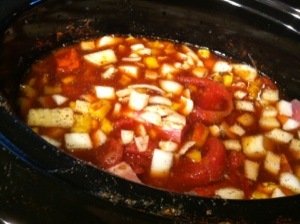 Combine cornstarch and water until smooth; gradually stir into slow cooker. Cover and cook on high for 30 minutes or until slightly thickened. 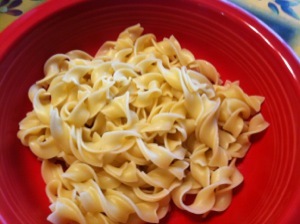 Serve in bowls with noodles. Yield: 8 servings. Nutritional Info: 1 serving (1 cup) equals 176 calories, 5 g fat (2 g saturated fat), 50 mg cholesterol, 753 mg sodium, 12 g carbohydrate, 1 g fiber, 20 g protein.